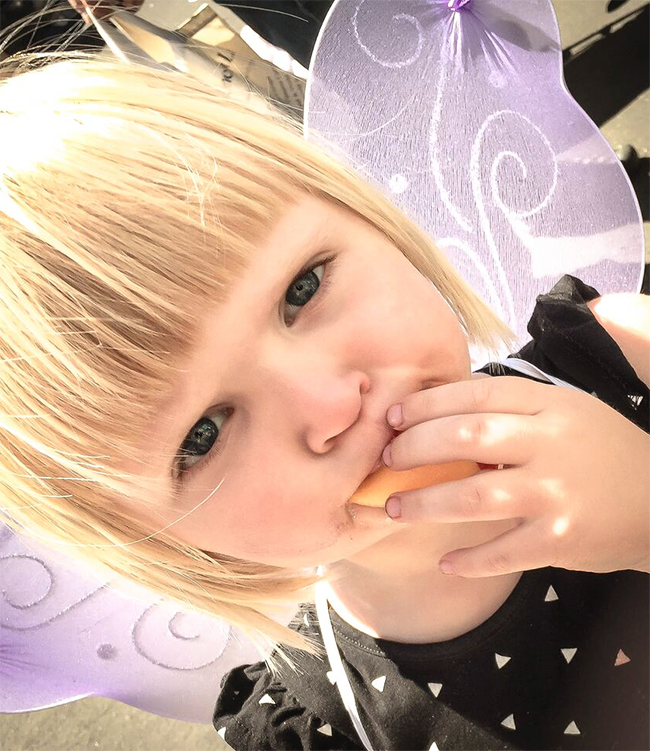 My daughter Piper and I love heading to the Farmers Market every Saturday and perusing the fresh fruit and veggies. 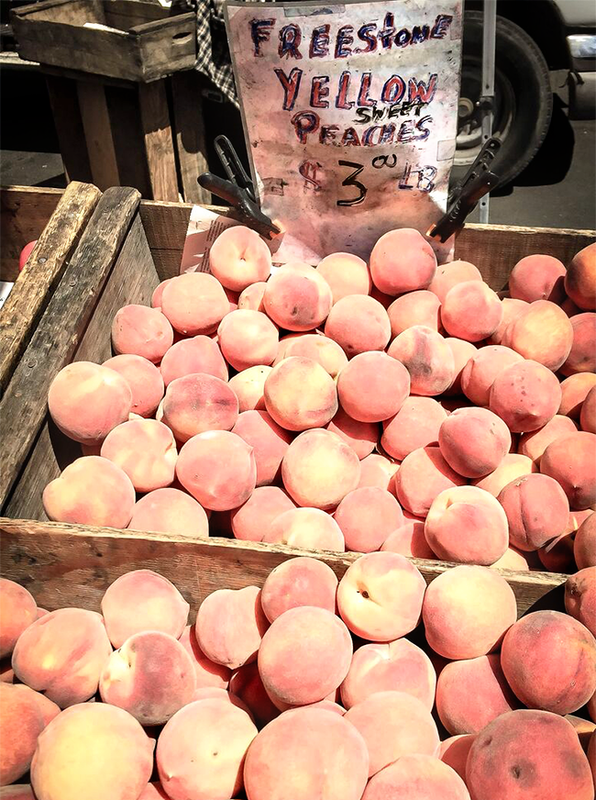 Last week we were instantly drawn to the lines of patrons at our favorite farm stand who were purchasing delicious peaches, white peaches, and nectarines. 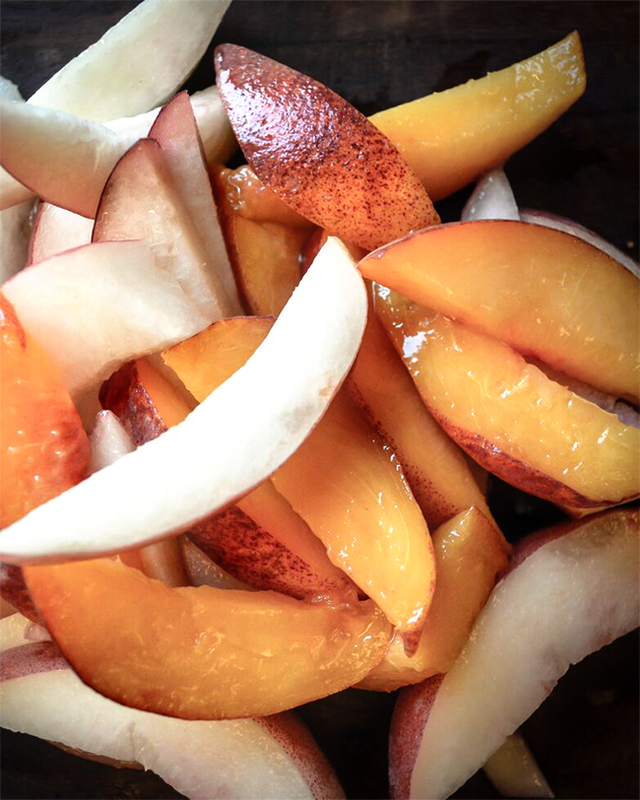 The white peaches were so sweet and I thought they would make the perfect addition to an early fall salad, so here it is. Enjoy! 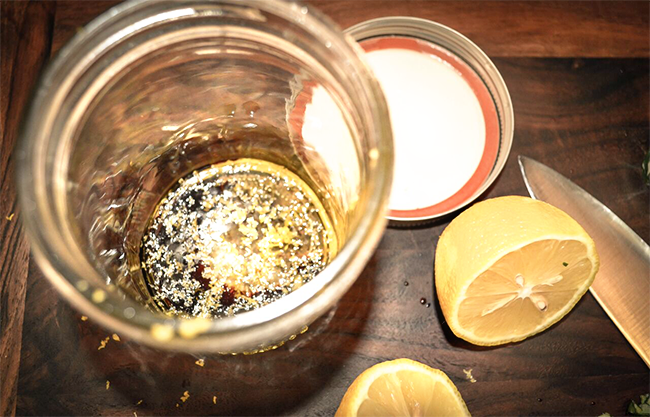 I like to make my vinaigrette a day or two in advance so the flavors really have time to marry. 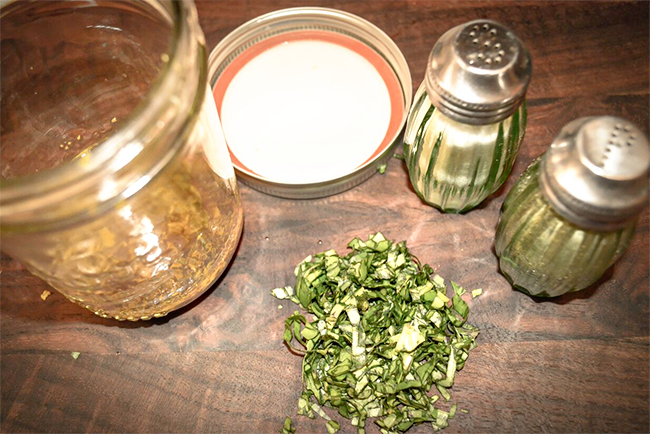 I mix everything in a mason jar, toss it in the fridge, and then just shake and pour when I am ready. 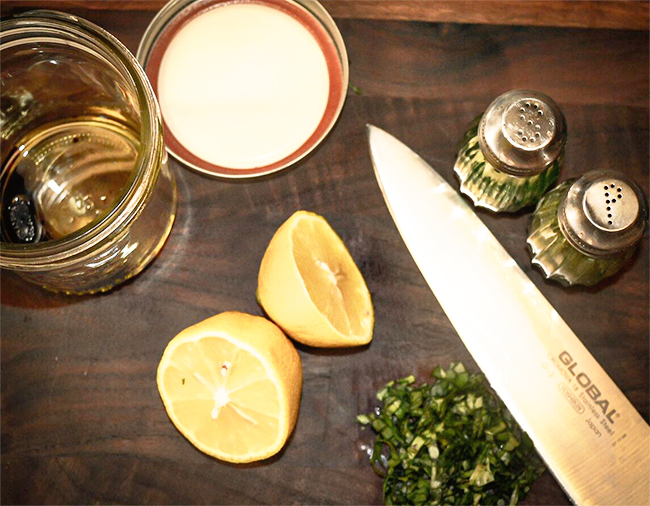 Mix all ingredients in a jelly jar and put in the refrigerator for storage. 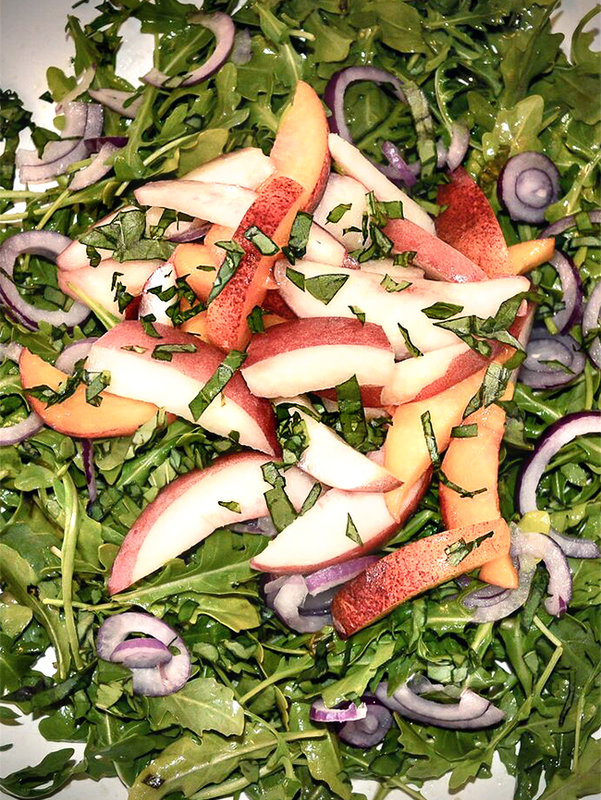 Mix the arugula with the salad dressing, then layer the fruit & shallots, and sprinkle the basil for garnish. 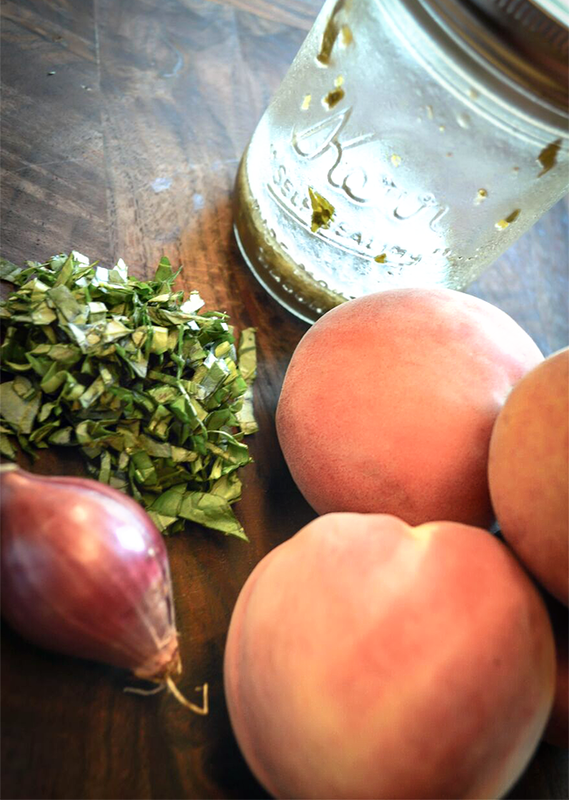 For a delightful Farmers Market style food and wine pairing, I would suggest serving with a simple citrus marinated roasted chicken or even a nice grilled salmon. You can also just add goat cheese and serve crusty bread on the side for a vegetarian dish that is a little more substantial. I ate my salad on its own for lunch and served it with a delicious local Chenin Blanc by Dane Cellars. It was particularly dry, full of herbal notes, and the perfect pairing with the sweet fruit. I think this salad would actually pair well with a lighter Pinot Noir as well, if you are more of a red wine drinker. Sara is an event planner and "expert in indulgence" who has lived in the heart of Sonoma County California's wine country for 13 years. In addition to sharing her favorite foods and wines, recipes and more as our Food and Drink Contributor, she plans unique, personalized getaways to and events in wine country for her hospitality business, Wine Country Goodness, is the Events Manager at Boon Hotel and Spa, and travels the country in search of the best places to stay, explore, eat, and drink. You can also find Sara on her blog, Facebook, Instagram, and Pinterest. This looks delicious! 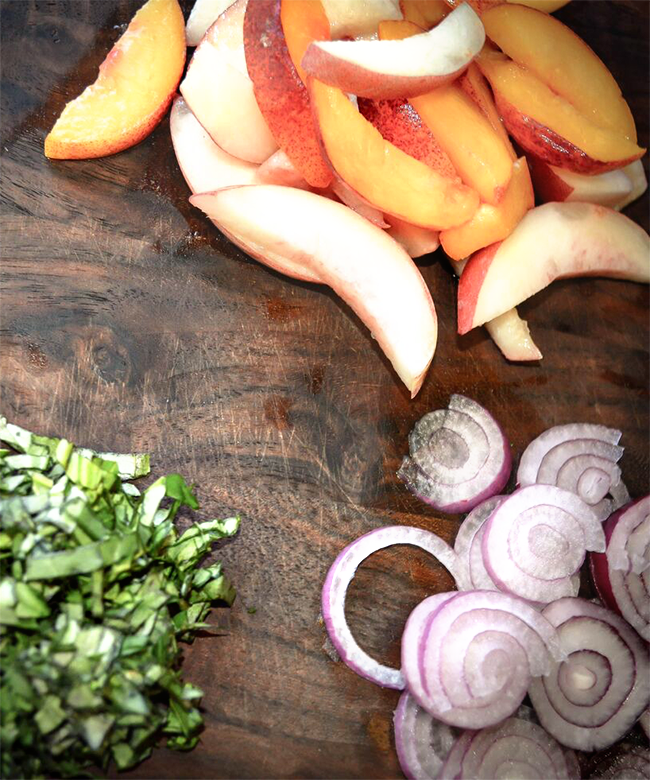 I love peaches in salad. Yum! 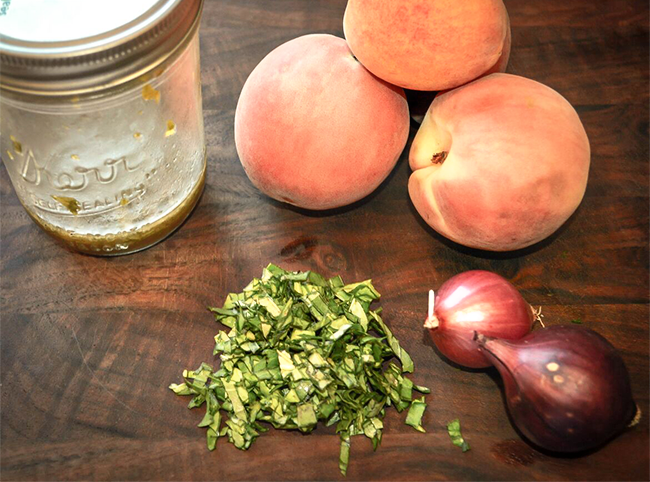 I have never had peaches in a salad before and will have to give it a try!